It can be hard to grow your business if you and your employees are stuck at your desks in the office. After all, you can’t meet new clients and have to rely on phone calls and email to get your message out there. But if you want to grow your business, you need to go the extra mile to ensure people start hearing about your company. After all, you want to be seen as a major player in your industry. That way, you will get noticed by potential clients who might be interested in your products or services. One way you can get out there in the industry is to attend a trade show. The exhibition is a great opportunity to meet potential clients and to find out more about competitors. However, if you are going to one of these trade fairs, you need to ensure you make the most of the opportunity. Therefore, here are some ways you can ensure your time at a trade show is beneficial to your business. 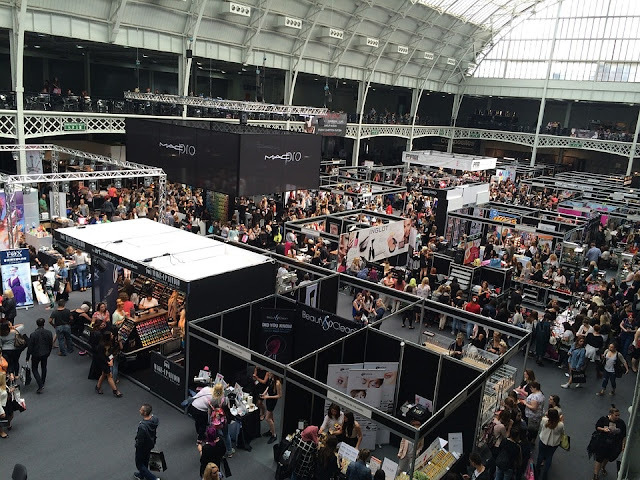 Once you have decided you want to attend a trade show, you need to get in contact with the organizers. After all, they will only have a certain amount of stands available for businesses. So you don’t want to miss out on a spot due to you deciding last minute you want to attend. Therefore, you need to get in touch with the organizers as soon as possible to let them know you want to go. Also, you need to ensure they give you a stand in an excellent location. After all, it’s not going to be very beneficial to your company if you are located at the back of the room where nobody will see you. In fact, it might mean a lot of potential customers leave before they get to your stand! Therefore, ask exactly where you will be located in the building. And remember that you don’t have to stand in the one location the whole event. Walk around and network to make the most of your time at the exhibition. And that way, you can meet potential clients before they even get to your stand. It can be a bit nerve-wracking talking to tons of potential clients when you are at a trade show. In fact, for a lot of entrepreneurs, it can take them out of their comfort zone. But to make the most of going to the trade show, you do need to make sure you are talking to as many people as you can. After all, you might meet a potential client who could give you a lot of work. In fact, you might be able to set up a meeting after speaking with them at the trade show. Or you might meet an investor who might want to fund your business. After all, they tend to go to trade shows to find potential investment opportunities. Therefore, it’s a good idea to speak to people as they walk by as you never know what opportunities will arise. If you need a break, get one of your employees to stand in for you. After all, you don’t want to miss out on an individual who could be a potential client! It can be hard to find out much about your competitors from just looking online. In fact, with limited information, it can make it difficult to figure out how your company is different from others. Therefore, you should use this trade show as a research opportunity to find out more about your competitors. You can walk around and see who the major player are in the industry, and look at what they do as a company. You might even be able to see the kind of prices and services they provide too. And then from getting this valuable research, you can use it to work out your own USP. In fact, it can be highly useful for when you next visit clients to pitch. After all, they will want to know how you stand out against your competitor. And if there are any talks on from industry leaders, make sure you go to them. It can help you figure out how to be successful in the industry. Remember to show exactly what you do from your stand. You might want to bring example products to place on the table. And you might want a video about your business running in the background. That way, it can catch potential client’s eye when they walk past. I hope you enjoyed this article about how to ensure that your time at a trade show or expo is well spent. Interested in more articles about small business?